For the second day in a row, this blog celebrates the birthday of a Yankee super scout. Like yesterday’s Pinstripe Birthday Celebrant Bill Essick, Paul Krichell started his career as a ballplayer. Born in Paris, France in 1882, Krichell’s parents immigrated to New York City when he was just an infant and he grew up to become a minor league catcher. He finally got his shot at the big leagues with the St. Louis Browns in 1911 at the age of 28, but his weak hitting kept him from sticking. After two seasons as the Browns’ second string catcher, Krichell returned to the minors, where he quickly got into managing. The first indication that he had a sharp eye for baseball talent occurred when he became player-manager of a minor league club in Bridgeport, CT. With America’s entry into World War I, able-bodied baseball players not already under contract to some other team or serving in the military became extremely hard-to-find. Krichell solved that problem by signing players from China and Japan and even perhaps a ringer or two not under contract and his Bridgeport squad won 23 of its first 25 games. 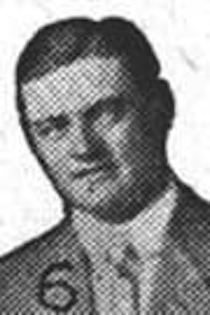 A dispute with that league’s president so infuriated Krichell that he quit as skipper of the Bridgeport team in midseason and vowed never to return to work for a minor league club again. He then spent a season coaching college baseball for New York University before getting a call from an old friend. 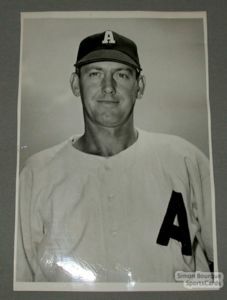 During his minor league playing days, one of Krichell’s managers had been Ed Barrow. In 1919, Barrow was managing the Boston Red Sox, and that team’s owner, Harry Frazee was in the midst of a selling binge that was completely devastating the ball club’s once mighty roster. Barrow hired Krichell to try and find the Red Sox some new stars and when Jake Ruppert then hired Barrow to run the New York Yankees a year later, he brought Krichell along with him. During the next thirty years, Krichell’s keen eye and power of persuasion was a key component of the rise and extended rule of the Yankee dynasty. He is credited with signing Lou Gehrig, Tony Lazzeri, Phil Rizzuto, Whitey Ford and a bunch of other talented Yankee role players. He kept working for the team right up until he was diagnosed with lymphatic cancer in 1955. He lost a two year battle with the disease in June of 1957. Krichell shares his birthday with this former Yankee pitcher, this former Yankee closer and this one-time Yankee outfielder. A piano-playing pitcher, who got two shots to make it to the big leagues but couldn’t stick, Vinegar Bill Essick loved the game of baseball enough to purchase a share in a minor league team and serve as both its general manager and field skipper. He did well enough there to receive and accept an offer to manage the Vernon Tigers, in the prestigious Pacific Coast League. During his tenure with the team, Tiger players like Babe Borton, Hugh High, Ham Hyatt, and Truck Hannah ended up playing for the Yankees. The constant dealing between both clubs enabled Essick to develop a relationship with Ed Barrow and Miller Huggins, which was cemented when Essick recommended the Yankees sign Vernon’s star third baseman, Bob Meusel. He had also recommended that Barrow go after a second baseman who was playing for Salt Lake City back then by the name of Tony Lazzeri. So when the owner of the Vernon team fired Essick in 1925, the Yankees quickly hired him to become their chief scout on the west coast. From that position, Essick became a key component of the brain trust that added a new layer to the Yankee Dynasty that was born on Babe Ruth’s back in the 1920’s. Essick is credited with the signings of Joe DiMaggio, Lefty Gomez and Joe Gordon as well as Frank Crosetti. Without that core four, Joe McCarthy would not have won those four straight World Series crowns at the end of the 1930’s. He continued scouting for the Yankees until 1950 and died just a year later at the age of 70. He joins Paul Krichell and Tom Greenwade to form the holy trinity of Yankee super scouts. Essick shares his birthday with this great Yankee first baseman and this former Yankee pitcher. He was the guy who signed Elston Howard, Hank Bauer, Gil Hodges, Clete Boyer, Ralph Terry, and Bobby Murcer to their first professional contracts. Those signings alone represented a solid career for any MLB scout, but he’s also the guy who convinced the Dodgers to sign Jackie Robinson and made Mickey Mantle a Yankee and for good measure, convinced Yankee GM George Weiss to trade for an outfielder named Roger Maris. That’s why there are quite a few very astute baseball people who feel today’s Pinstripe Birthday Celebrant should be inducted into the Baseball Hall of Fame. They’d get no argument from me. Tom Greenwade was born in Willard, Missouri on August 21, 1904 and lived there all his life. From that base, he would get into his late model Cadillac and search the baseball diamonds of midwestern America for young baseball players who could run fast, had good arms and hit baseballs hard. He had been a pretty good minor league pitcher himself until a serious bout of typhoid fever destroyed that dream. When he managed his local American Legion team to a Missouri State championship in 1937, he got noticed by the front office of the old St. Louis Browns and was offered a scouting job with that organization. He jumped at the opportunity and a couple of years later accepted an offer to scout for the Dodgers and work for” the Mahatma,” Branch Rickey. Though Clyde Sukeforth often mistakenly gets the credit for doing so, it was Greenwade who got the assignment to scout Jackie Robinson and urged Rickey to make him the chosen one. When the Yankees came calling and offered him a job, the loyal scout discussed it with Rickey before accepting it. The Dodgers were paying Greenwade $3,000 per year at the time and the Yanks were offering $11,000. Rickey knew he didn’t have the bucks to compete with the behemoths in the Bronx and told Greenwade he’d be crazy not to make the move. Though he was very good at what he did, Greenwade was far from perfect. When he first saw Mantle play as a teenager he failed to realize the kid was a switch-hitter. After realizing his mistake, he moved quickly to seal the deal with the Commerce Comet. Since the rules prevented teams from negotiating with players still in high school, Greenwade drove to Mantle’s house hours before the evening graduation ceremony was to take place and convinced his parents to let Mickey skip the event and play in his semi pro team’s scheduled game instead. Once that game was over, Greenwade got Mantle and his dad Mutt into his car and negotiated the contract that would keep the Yankee Dynasty going for another fifteen years. 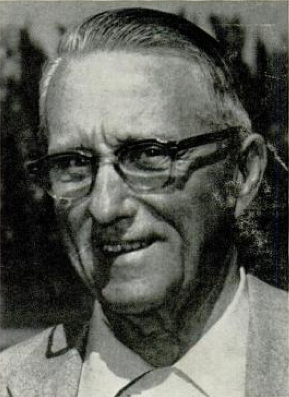 Greenwade quit scouting in 1964 and returned to Willard where he lived the retirement life until he passed in 1986 at the age of 81. Greenwade shares his birthday with this former Yankee closer and this former first baseman. Since my home town is Amsterdam, NY and I’m a passionate long-time fan of the New York Yankees, its only natural that I have a strong interest in the history of a now-defunct minor league franchise known as the Amsterdam Rugmakers. The team was the Yankees’ affiliate in the Class C Canadian-American League from 1938 until 1951. They were immediately successful, winning their league’s pennant during the first two years of their existence and the CanAm Championship in their third. Several future Yankee players made early career marks in Amsterdam. They included the great Vic Raschi, Spec Shea, Joe Page, Lew Burdette, Bob Grim, Joe Collins, Gus Triandous and Johnny Blanchard. The team ceased operations during the WWII years and when play resumed in 1946, the Rugmakers struggled to regain their pre-war winning ways. They hit bottom in 1948, finishing in seventh place with a 57-80 record, setting a franchise record for most losses in a season. It was decided that a managerial change was in order. At the time, Jim Turner, the former Yankee relief pitcher and future Yankee pitching coach was managing a minor league team in Portland. His starting center fielder on that team was a 33-year-old native Floridian who had failed to stick in his one trial as a big leaguer. His name was Mayo Smith and Turner recommended him to the Yankees for the Rugmakers’ job. Seeing a chance to save some money by employing a player/manager, Smith was hired and spent two years managing and playing outfield for Amsterdam. 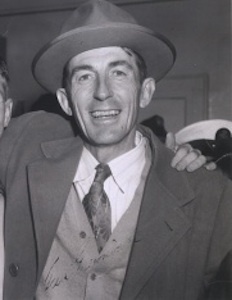 After a 67-71 fifth place finish in 1949, Smith’s 1950 Rugmakers got back into the playoffs with a 72-65 fourth place finish and advanced to but lost in the finals. Smith was rewarded with a promotion to the Yankee’s Class B Piedmont League affiliate in Norfolk, VA. He managed that team to two straight league championships and then got promoted again, this time to the Yankee Class A Southern League affiliate in Birmingham, where his team advanced to the league championship finals(but lost) in his first season at the helm. Suddenly, Smith was being mentioned as the potential successor for Yankee legend Casey Stengel. In fact, the Ol Perfessor told reporters that Smith was the most impressive coach he encountered during New York’s spring training camps and he predicted great things for Smith’s future. Stengel was right. In 1955 Smith got his first big league managerial position with the Philadelphia Phillies. He did a solid job with a pretty mediocre ball club for three-and-a-half seasons. After getting let go by the Phillies midway through the 1958 season he was hired to manage the Reds in ’59. After lasting just a half year in Cincinnati, Smith left managing to return to the Yankees as a scout. Actually, he became the team’s first ever super scout. Major League Baseball had just instituted its inter-league trading period. Previously, if a team in one league wanted to trade a player to a team in the other league, that player would have to clear waivers within his own league first. The Yankees gave Smith the responsibility of scouting all NL teams and in that capacity he became a well-known fixture at all of the senior circuit’s ballparks. Smith remained in that role for six years until he was hired to manage the Detroit Tigers. He managed his 1968 team to a World Series win over the Cardinals. A key move made by Smith during that fall classic to play outfielder Mickey Stanley at shortstop so he could keep both Stanley’s and Al Kaline’s bat in the lineup, was praised for years afterwards by the baseball press. Smith remained the Tiger manager through the 1970 season. He died in 1977, a victim of a heart attack. He shares his birthday with this former Yankee DH and this popular former Yankee coach.